Shape and form are explored through the ceramic sculpture gardens of artist Eddie Dominguez. 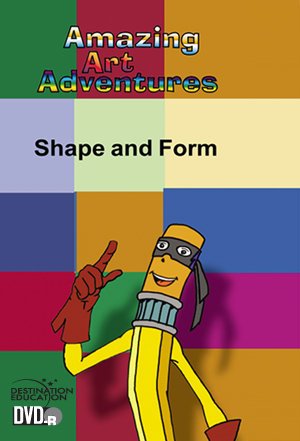 Animated host, The Masked Pencil, brings shape and form to life through practical illustrations and a trip to the Sheldon Art Gallery in Lincoln, Nebraska. Eddie transforms amazing ceramic sculptures into dinnerware sets that are sure to spark the imagination of each student.